Hi! Totally new here. 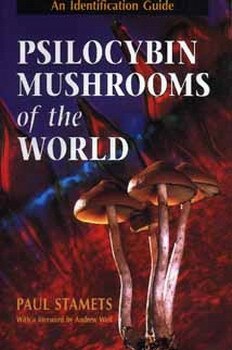 Have been doing a lot of research lately and am about to start a grow of some spores. I used to live with a friend who grew them, and I like gardening, so I feel I'm a totally qualified noob :-). Anyway, I'm wondering if anyone can please elucidate what the prefix 'PES' means that I see on all the spore suppliers websites? PES is an acronym for Pacifica Exotica Spores. They were a vendor who sold both the Hawaiian (PESH) and Amazon (PESA) cubensis strains. I hope that helps. MLB was close...Pacific Exotic Spora. They were one of the first companies to offer spores in High Times magazine. For the longest time it was just them and the Homestead mushroom kit that were the main suppliers of spores to the masses. PESH was Sporas "Hawaiian" strain of Cubensis. Only problem is Cubensis didn't grow naturally in Hawaii. It is thought that the spores were actually from a Florida strain collected near G'ville. I don't know if I agree with that because Hawaiians usually have a distinct point on the caps similar to the point on an acorn, especially in young specimens. Most of the shrooms I have encountered in the wilds of Florida have a flatish cap with no point. PESH and PESA are both excellent strains though IMO. Are you referring to the umbo when you say it has an acorn like point? Is there a psilocybe species indigenous to the Hawaiian Islands? rw3iss, welcome. like your question. Funk I like that umro point, I think its pretty. I think psilocybe species grow just about everywhere except in the artic circles. In that case...I would venture to say if you looked hard enough you could eaven find some in the artic circles aswel. The whole world is just one massive substrate log with hyphae grasping out into every crevice and cranny searching for fresh life to devour. If the icecaps keep melting I'm afraid you may be right. I agree with you on all counts. However, a friend thought PES was Paul E. Stamets of FP fame. I doubt it was Stamets since this company was running out of Hawaii, and he's in Washington. Edited by doctorwu, 07 April 2019 - 06:47 PM. Paul Stamets has never sold active spores or cultures . nor did he ever trade these . He did his research threw a Special DEA license that gave him an exception to collect study cultivate and catalog active mushrooms . for his research . Edited by bezevo, 07 April 2019 - 08:29 PM.